The brothers of the Taizé Community live entirely by their work. They do not accept any donations. Similarly, if a brother inherits something from his family, the community makes a gift of it for the very poor. The community brings support to people in difficulty on the different continents, especially to children who are destitute or sick. By means of Operation Hope, those who wish may participate in this mutual assistance. To send a donation to Operation Hope, please click here. 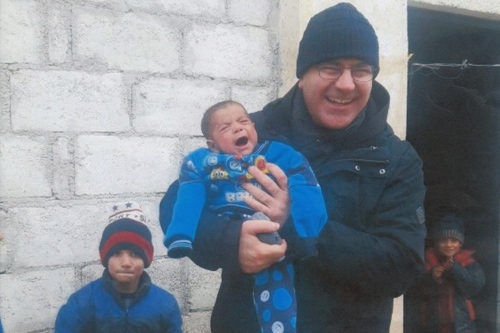 In Northern Lebanon the NGO Relief and Reconciliation for Syria is inspired by the work of Father Paolo dall’Oglio, who worked in Syria for the knowledge and esteem of Islam and founded the monastic community of Mar Moussa. This small NGO combines humanitarian aid with Syrian refugees in the Akkar region of northern Lebanon with peace education work for children and youth from the various communities in the region. It was through Relief and Reconciliation that the Syrian Muslim family currently staying in Taizé were able to reach France. In Syria, in Aleppo, the Franciscan community distributes food parcels and emergency aid to displaced persons. It also works to set up drinking water networks and to distribute fuel oil for generators and heating. This community also assists people with their health needs, taking care of part of the costs. Finally, the brothers ensure the education of children and young people, trying to offer spaces for activities and studies. In Iraq, at Erbil, aid is given to the Syriac Orthodox Jacobite community, from which one of the Iraqi families settled at Taizé comes. When the Christian villages on the Nineveh plain were liberated by the Iraqi army, the Christians found that their churches had been devastated by ISIS. The money collected is used to support those displaced in Erbil who cannot return to the destroyed villages and to the cleaning and reconstruction of places of worship. 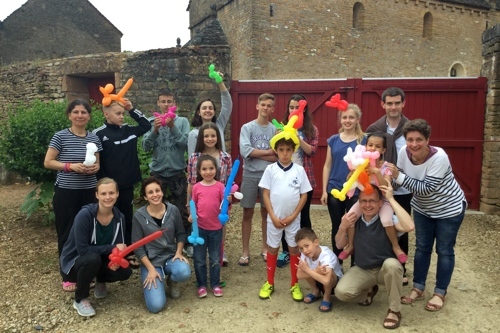 Thanks to Operation Hope, during the summers of 2015 and 2016 a group of children from eastern Ukraine was welcomed in Taizé for a few weeks. Their families fled the Donbass at war and have since been living in Kiev. For these children, aged 7 to 14 years, the time spent in Taizé was a moment of joy and peace after the difficult months of the war. Their joyful presence on the hill also helped to express solidarity with those who suffer from war at the gates of Europe. In October 2014, Brother Alois and other brothers led stages of the pilgrimage of trust in four Caribbean countries in Central America. 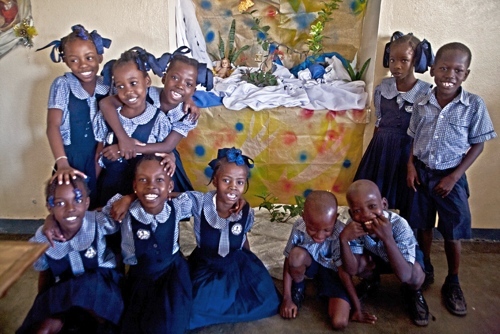 In Haiti, they visited a community of sisters from Cité-Soleil in Port-au-Prince and since then, Operation Hope regularly sends financial assistance to support their work with disadvantaged children. From the beginning, the Taizé Community has always been attentive to refugees. During the Second World War, Brother Roger had hidden a number of them in his house at Taizé. Later on families were welcomed, from places like Vietnam, Laos, Bosnia and Rwanda. In recent years, the community has welcomed families from Iraq and Syria, as well as groups of young migrants from Calais. 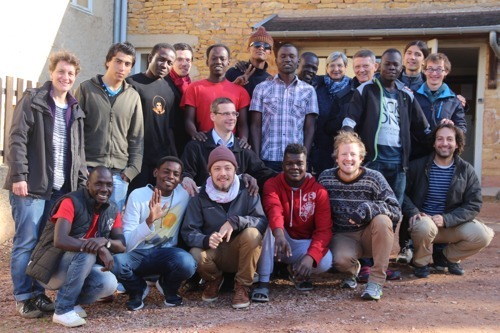 In 2016, young asylum-seekers from Sudan, South Sudan, Eritrea, Syria and Afghanistan stayed in Taizé. This welcome was made possible thanks to the collaboration of many volunteers from the region and financial support from Operation Hope. The community seeks to help these young people become self-reliant once they have been granted refugee status. Operation Hope also supports initiatives to assist refugees, led by associations working in the region around Taizé. 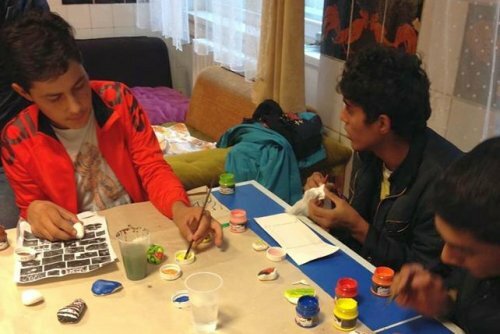 IN 2015, following the news given by Ferenc and by young volunteers who went to Hungary to be with the refugees, Operation Hope has received donations to support their work. These donations helped take care of children and young people in central Fót. They also helped to assist refugees who are crossing borders. 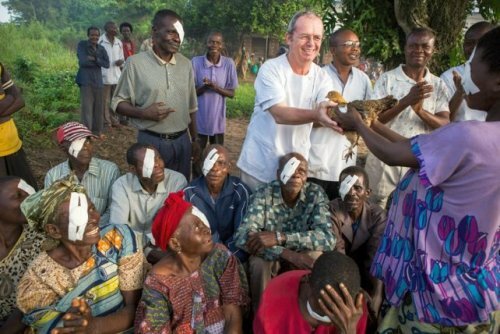 Dr. Richard Hardi has been living and working in the Democratic Republic of Congo for twenty years as an ophthalmologist. He is a committed member of the Community of the Beatitudes. He practices in Mbuji Mayi, the capital of East Kasai province, but he makes regular medical missions in remote areas. 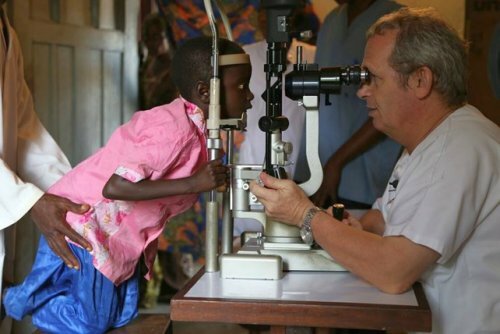 In much of the country, he is virtually the only ophthalmologist who operates on children and difficult cases. He performs over 2,500 operations each year. Since 2015, Operation Hope supports the construction of an eye clinic undertaken by Dr. Hardi for which the region has a great need. 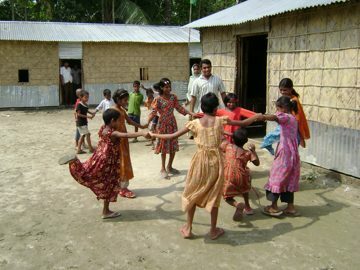 Operation Hope has been supporting schools for several years in Mymensingh, Bangladesh. In all, more than 1500 children study in these schools. These are also places where young Muslim, Hindu and Christian teachers learn to work together. All are students who have to pay for their studies. They understand that if they wish to receive help for themselves, they must also give something: some of their time to run schools for poor children. Being at the service of the poor reinforces the feeling of being part of a single human family. Since 2008, Operation Espérance has supported a hospital for the sick created by the parish of the Infant Jesus in Boeng Tumpun, Cambodia. To meet the needs of poor villagers from the different provinces of the country, the parish launched this project which promotes the dignity of the sick and provides them with the necessary care. Proximity to the capital, Phnom Penh, facilitates access to hospitals if necessary. The donations make it possible to contribute to the costs of hospitalization and also to finance the center itself, the remuneration of the staff, the maintenance of the premises, hospitality expenses, and medication. 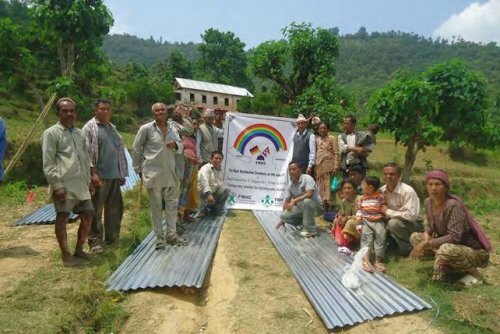 After successive earthquakes in Nepal in April and May 2015, Operation Hope has supported the work of a German NGO, Freundeskreis Nepalhilfe e.V. (FNH). 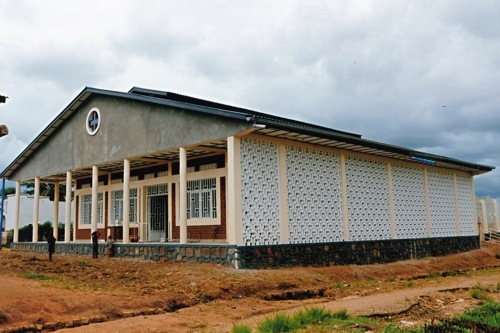 All the money sent was used to purchase corrugated roofs for the construction of temporary housing. It was very urgent, since the “monsun” was expected shortly after the tremors. These roofs can be integrated in the future construction of more durable homes. Operation Hope has helped 200 families to relocate. In October 2014, Brother Alois went to Cuba, with a few brothers during a stage of the “Pilgrimage of Trust” in the Caribbean. Prayers were held at Havana and Matanzas. On returning , Brother Alois told young people gathered in Taizé: “Cubans, especially the young, are desperate to leave their isolation, they need to feel close to young people in other countries, and they urged us to greet you all from them. For them, becoming salt of the earth means taking an option of hope.” In March 2015, a brother went back to this country to deepen ties. He saw that there was a defiency of many goods, especially medicines. A group of Christians runs a medical support network for disadvantaged populations, with small health centres in different parts of the country. Through Operation Hope, the Community decided to organise a collection of medicines which were sent to this group in Cuba: diclofenac (anti-inflammatory), doxycycline (antibiotic), aspirins, vitamins, glucosamine, amoxycilline, furosemide, cephalexin, dexchlorpheniramine (antihistamine), ibuprofene. In 2016, the Community invited two doctors from the Hospital of the Red Cross of North Korea to do a refresher course in France. These doctors spent three months in Paris and the costs of their stay were borne entirely by Operation Hope. Between 2007 and 2011, six other doctors had also done a one-year internship in France. 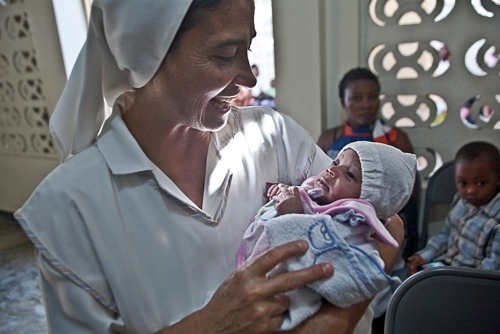 The first humanitarian deliveries to this country were made in 1998 and 1999. More than one thousand tons of maize flour were sent for the population who were suffering after several years of drought and flooding. Since then, every year it has been possible to make a gesture of solidarity. Milk and feeding bottles for newborn babies, medical equipment and basic medication, were collected during the European meeting in Berlin at the end of 2011. Dozens of packs of medication, hundreds of stethoscopes, thermometers, bandages, gauze, syringes and different medical supplies as well as several large boxes of surgical devices and two sterilisers were sent. Operation Hope added two new oxygen concentrators. This support continued the following years with the sending of medical devices and medication. The North Korean Red Cross takes care of the distribution to hospitals and rural clinics. A brother of the Community, originally from South Korea, has visited North Korea several times. He has sometimes accompanied the delivery of foodstuffs. In a village 25 km. south of Rumbek, some fifty families of lepers live; they have come from the entire Great Lakes region. Although medical treatment heals the disease and removes all danger of contagion, the loss of limbs sometimes remains a great handicap. The social stigma continues to affect them. The lepers cannot stay in their place of origin. Their children, even if they themselves have not been touched by the disease, are not welcome in school. The courage and hope of these families who have started a new life from scratch in great isolation and precariousness are remarkable. 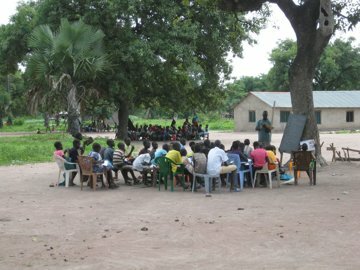 Operation Hope is helping build a building for the primary classes, so that the children can continue to study even during the rainy season. The civil war, the fees demanded and the lack of schools have kept many young people from continuing their schooling; helping them to develop their full potential is a priority. Setting up the Youth Opportunity Center wants to give a strong signal in favor of this commitment. On land occupied by the resources of an NGO during the civil war, the Church wants to develop a place of welcome, activities and formation open to young people of all backgrounds. Operation Hope is contributing to building a multipurpose room to replace the leaking tent. The medicine and medical devices collected at the European meeting in Berlin end 2011 were sent on 11 February 2012, in order to arrive in North Korea in late March - early April. Many responded to the call of the community for solidarity with the people of North Korea. Dozens of packages of basic medicines, were picked up hundreds of stethoscopes, thermometers, boxes of bandages, gauze, syringes and various medical supplies. Also several large boxes of surgical devices and two sterilizers were given. Operation Hope has added two new oxygen concentrators. Everything was packed onto four pallets. In North Korea the Red Cross will undertake the distribution of the supplies to hospitals and rural clinics. This aid in collaboration with the North Korean Red Cross continued in 2012 and 2013 by sending medical equipment (including an electrocardiogram, microscopes and emergency kits for doctors) and medicine for hospitals. 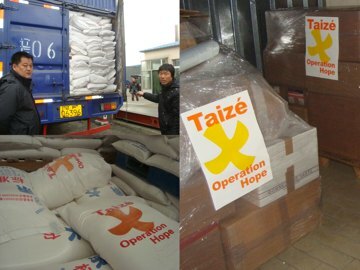 In 2011, through Operation Hope, the Community made humanitarian shipments for those who lacked food in North Korea: 260 tons of wheat flour and 120 tons of noodles. In 2007 the Community had sent a thousand tons of wheat flour. The first humanitarian shipments into this country were made by the Community in 1998 and 1999: more than a thousand tons of corn were sent to the people who suffered after several years of drought and floods. Since then, every year it was possible to make a sign of solidarity by sending humanitarian aid: milk and feeding bottles for infants, medical equipment and medicines. A brother of the community, himself a native of South Korea, was several times in North Korea and he sometimes accompanied the distribution of food aid. Between 2007 and 2011, the community also invited six doctors from the Red Cross Hospital of North Korea to spend a one-year internship in France. At the European meeting which brought together 40,000 young people in Brussels at the end of 2008, Brother Alois announced that, to respond to the needs of the Christians of China, the Taizé Community was going to have printed one million Bibles in China—200,000 complete Bibles and 800,000 New Testaments with Psalms. The printing was done in Nanjing, and from there the books were delivered across the country in successive stages throughout 2009. In 2009, the Taizé Community is also supporting the biblical work of the Protestant Church in China. This support was continued throughout 2010 and 2011. Burkina Faso is situated in the Sahel where the dry season lasts nine months without interruption. The population uses open wells that often dry up and the women are forced to use unhealthy water collected in artificial ponds during the rainy season. Sometimes they have to go as far as ten kilometres in order to find water and the rare wells that do exist become a source of conflict because of the scarcity of water and the long time they have to wait. 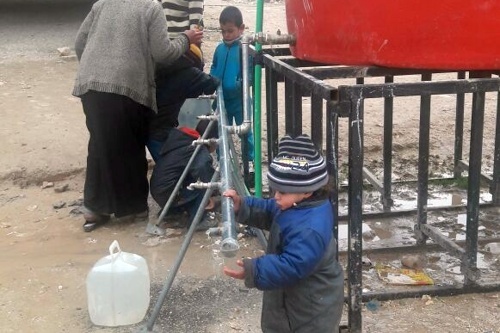 Operation Hope supports the drilling of wells and the installation of pumps. These wells are an essential source of water supply for the people and for the prevention of sickness. In 2010, Operation Hope also supported a project to provide milk for children at the hospital of Nanoro, also in Burkina-Faso.